Construction sites scaffolds are inherently dangerous. It is important that all parts of the scaffolding are in good working order for the job. All too often construction companies will sacrifice safety using substandard, weak, or makeshift scaffolding in violation of the law. These violation are attributable to serious injuries caused to construction workers and pedestrians. Some of these serious injuries include back pain, neck pain, broken bones, and sometimes death. If you are a victim of a construction site accident involving scaffolding, it is important to preserve your rights and hire a law firm with the experience and skill necessary to fight for you. Give our attorneys a call at 800-893-9645 and ask for your confidential consultation. We believe that construction companies should be held accountable for their disregard of public safety. The use of a scaffold in a construction site in New York is regulated by many laws. Some of those laws include such as the NYS Labor Law and Occupational Safety and Health Administration (OSHA) regulations. They must also come into compliance with the manufactures specifications. An injury on a scaffold may be compensable for many reasons. Among some of the issues to be investigated include whether or not the seating and locking mechanism of all scaffold connections were properly installed, whether or not the footings and plates were properly secured, whether or not the wooden planks were properly secured, and whether or not the proper size tubing was utilized for the particular job. 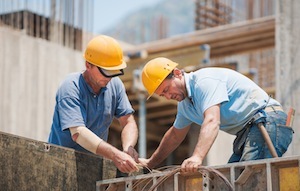 If you have been injured in a scaffold related injury, give our lawyers a call at 800-893-9645.